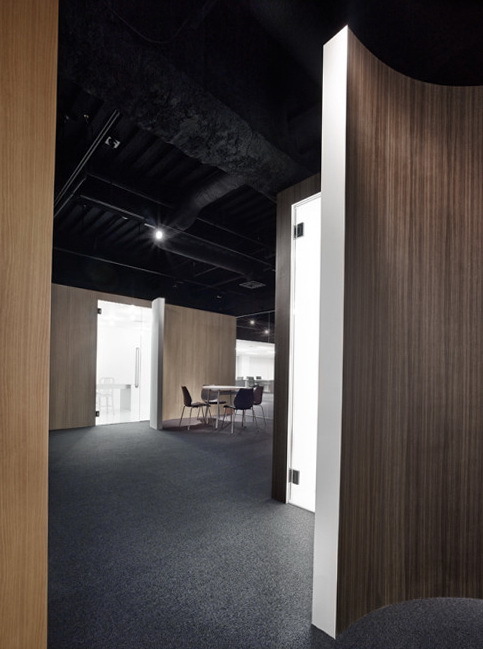 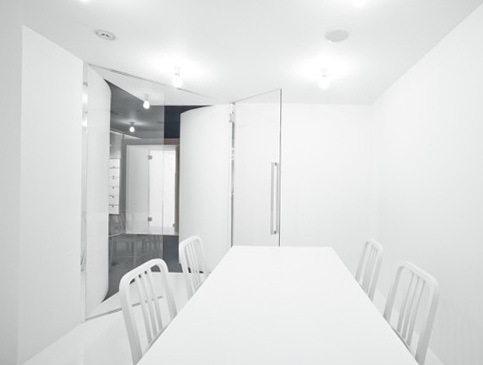 Spicebox Office is a minimalist interior located in Tokyo, Japan, designed by Nendo. 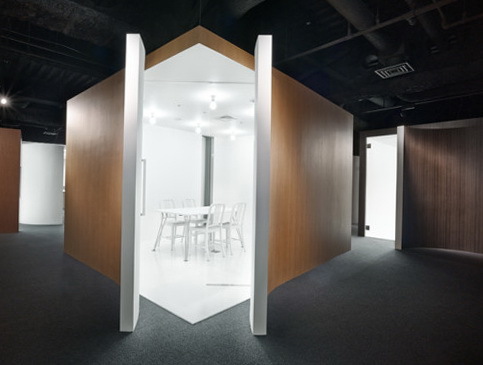 The office space design for spicebox, a comprehensive digital agency that works across strategic planning, interactive promotion and creative digital marketing, and is part of the Hakuhodo stable. 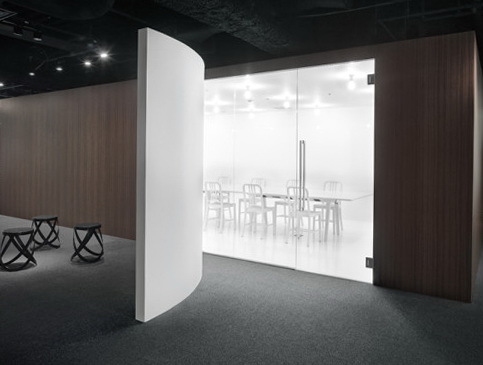 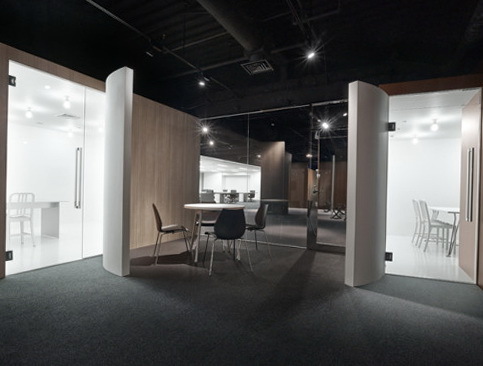 The firm’s name symbolises the ability to deliver surprises and delight, like a variety of stimuli that come tumbling out of a box, so they placed seven box-shaped meeting rooms of differing sizes and finishes around the office, all of which are entered by a wall that has been ‘flipping open’. 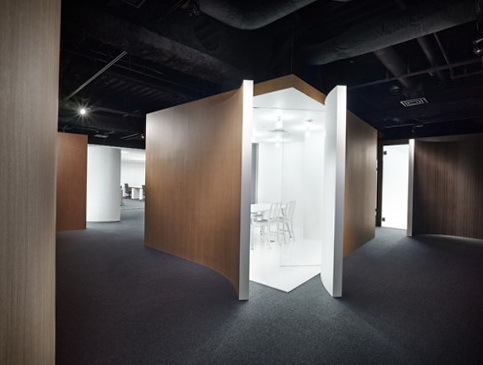 Each box is ‘opened’ in a slightly different way, subtly connecting interior and exterior and shaping sightlines to create a spatial experience in which each box reveals itself as you walk around the room. 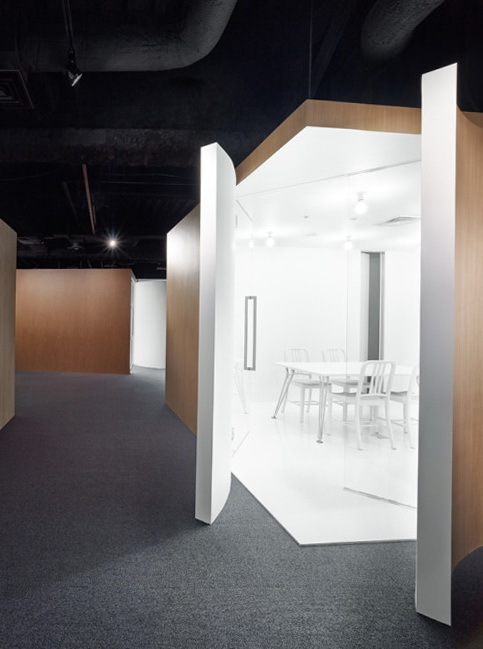 The flipped-open entrances turn the area around each box into a semi-open communication corner, and functional elements that don’t need to be on display like the photocopier, waste bins and refrigerator can be hidden behind the boxes. 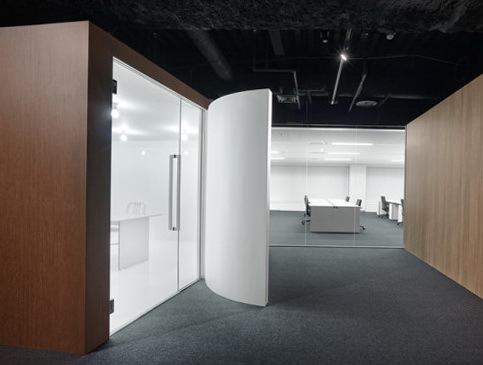 Their idea was to make not only the boxes’ interior but also the area around them into an active office environment where people can easily work and interact.